ma i on je vise smorio..
garantujem da bi u sledecoj sezoni bili barem 5 mesta vise, samo da se oslobode st. luia i lekavalijea, i da dovedu dostojne zamene..
za njih dvojcu moze da se uzme kvalitetan golman (koga nemaju), kvalitetan defanzivac (koga nemaju) i kvalitetan napadac (koji im treba ako odu ova dvojca), pa mozda cak i jos neko..
+ stekare imaju sasvim dovoljno mesta u seleri kepu, mogu da uzmu na fri koga oce..
Martin Fennelly recently reported this season's disappointing finish may have cost Lightning GM Brian Lawton and head coach Rick Tocchet their jobs. Fennelly feels only Steven Stamkos, Martin St. Louis and Victor Hedman are untouchables and floats the notion of Vincent Lecavalier being asked to waive his no-movement clause in the off-season. da su pametni da uzmu za njega neke defanzivce (a ima timova koji bi rado prihvatili trampu, pre svega sto je Lekavalije ikona.. za neke) i gosu ako neko ne produzi ugovor..
za golmana stvarno ne mogu da pogrese, koga god da uzmu bice OK (ja bi voleo Halaka da vidim, al izgleda da su se habsi odlucili za njega).. smith i nitimaki su pokazali svoje..
igrac bafala im je zabio hettrik, ukupno 7 komada..
ja bih se odmah ubio.. i to u 3/3 valjda ovi nisu hteli da forsiraju..
ostajem bez omiljenih timova za po.. za koga sada da navijam..
Koliko sam cuo od druga (picka nece da se registruje),oni su se odlucili da iskuliraju do kraja jer su pikirali mladog Rusa na draftu. 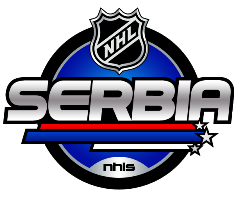 Ne znam jesi li vidio prvi gol koji je Stamkos postigao.Cisti deja vu ove godine,po stoti put.St Louis se zavuce na desni stranu,odvuce paznju odbrane pak se prebaci na lijevu stranu gdje se Steven stalno pozicionira i onda bum tras i nema spasa. da su u osnovnoj, ovako bi isle ocene..
One day after their season ended with the team missing the playoffs for a third straight season, the Tampa Bay Lightning have fired General Manager Brian Lawton and coach Rick Tocchet. The announcement was made by new owner Jeff Vinik, who took over the team March 3. "Now that the 2009-10 Tampa Bay Lightning season has concluded, we have decided to replace Brian and Rick," Vinik said. "Our hockey operations department needs a fresh start in order to help us fulfill our goal of being a world-class organization. I'd like to thank both Brian and Rick for their dedication and service to the Lightning. The team announced assistant GM Tom Kurvers will head the hockey operations department until a new GM is hired. Vinik said that decision will be made a new chief operating officer when that person is hired. "Our search for a chief executive officer is well underway and we are in the process of interviewing candidates," said Vinik. "After the new CEO is hired, he will hire our new general manager in time to prepare for the draft and free agency periods." Lawton was hired as vice president of hockey operations in June 2008, and promoted to GM on Oct. 22, 2008. Tocchet was hired July 9, 2008 as an associate coach, and was promoted to head coach just 16 games into the 2008-09 season, when he replaced Barry Melrose. The Lightning went 53-69-26 in Tocchet's two seasons, but he played a major hand in the development of young players Steven Stamkos and Steve Downie. komentarisacu ovo dublje, sad nemam vremena..
Steve Yzerman to be named Tampa Bay Lightning GM this afternoon, according to various sources. Jos jedno zvucno ime.. Imamo mi vec 3 u rosteru, al nam ne pomazu..
No, Stivi Y je zaista legenda, ali Gm.. Videcemo.. Valjda ce privuci neki kvalitet u klub..
Mada, mozda on moze da privuce neka imena..
Ma samo da prodaju Lekavalijea.. Okacio je Kolimor u vestima plate igraca, mislim da je u top 3..
To sam pokusao da zaboravim..
Opet, odlican je on igrac, ali je u padu forme strasnom.. Posle one povrede i svega nikad vise nije bio isti, a ne kazem da ne moze..
St. Louis: Do you trade him? Upon suggesting this, I'm half convinced that someone is going to start up a Don't Trade Marty blog on blogspot by the end of the week. This is by no means what I'm suggesting they do (yet), just something to think about as a possibility. Now in the future, trading away Martin St. Louis may become a reality for Lightning fans and it will cause some uproar among the faithful (yes all 10 of you). Now back in April after the season ended, St. Louis told the media that he might request a trade if the Lightning's rebuilding effort during the summer doesn't turn the team into a playoff contender. Things have changed a little, but based on Vinik and Yzerman's press conference the other day, it was stressed that it would not be a quick one year fix. Martin St. Louis, at the age of 34, is in the last year of his contract at a cap hit of $5.25 million per season (he made $4 million this season). Again he's 34 right now, turning 35 on June 18th. So going forwards, if Yzerman looks to re-sign St. Louis to a new contract he will have to take in to account not only St. Louis' age, but the 35 and older clause. What is this 35 and older clause? So if Yzerman wants to extend St. Louis contract he will have to take this into account and with already so much money committed to Lecavalier's contract and future contracts for Stamkos and Hedman, re-signing St. Louis is not so easy. If he retires before his contract is over that puts the Lightning in a bad position with regards to his cap hit still counting. If Yzerman is committed to thinking in the long term, St. Louis and Lecavalier have to be evaluated as teachers, not just for their offensive output. There will come a time when the young guys have learned as much as they can from St. Louis and Lecavalier, and the leadership will need to be passed on to Stamkos and Hedman. At that point, assuming a decline in productivity with age, their contracts may no longer benefit the teams overall success. This question will be bigger for Lecavalier than St. Louis since his ginormous contract is already in place, but still something that will be needed to be taken into consideration. St. Louis does bring more to the team than just scoring and leadership, he is also said to be a great locker room guy but Yzerman will have to figure out what the tradeoff for leadership is and is trading him better for the team in the long run. Rebuilding is a slow process and St. Louis' trade value is highest right now after his stellar season. If he wants to move to a wining team, the Lightning can move him during the summer in a trade or if they won't make the playoffs, at the trade deadline next year. Lightning GM Steve Yzerman is another new guy on the job who will be looking to make a splash. If the Habs decide to deal a goalie — Carey Price or Jaroslav Halak — the Bolts will likely be there to make a pitch. Unless he can be convinced otherwise, longtime C Vincent Lecavalier will invoke his no-movement clause, so he likely won’t be going anywhere. HTR believes that Yzerman will indeed make a big goaltender move this summer however with all due respect to a guy like Carey Price there are other goalies who may be able to make an impact for the Lightning and one such player who may be available is Tim Thomas. Some of the goalies that are available on July 1 include Marty Turco , Chris Mason , Nabokov and Jose Theodore. Golman im je neophodan, ono na kraju sezone je bilo . Konoli je pao u odnosu za predvidjanja, i to cak 3 mesta, sto nije malo za top 3 pika (predvidjenog). Povreda prosle sezone, no nesumnjivo nadaren igrac. Tampa je ili ubola premiji, ili ce da se muci sa njim. Time will tell.